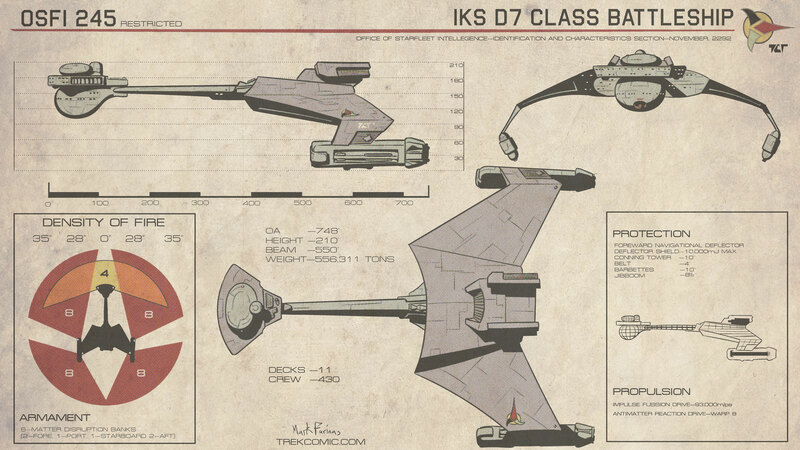 Here we have the backbone of the Klingon Imperial Navy. With six matter disruption banks the D-7 is a one-on-one match with nearly any modern warship in this part of the galaxy. Thanks to its enormous military budget the Klingon Empire has succeeded in producing three capital ships for every one their Federation rivals build. This imbalance of power could be the catalyst for open aggression in the near future.